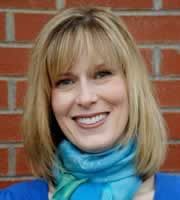 Christy Isbell, Ph.D. OTR/L, is an associate professor for the Occupational Therapy Program at Milligan College in Milligan, Tennessee. She teaches child development, human development, and pediatric therapy courses for the Masters of Occupational Therapy Program. Christy Isbell practices occupational therapy in early intervention, child care, and school settings.